Now you can be right at the shores of Hawaiian every night with our all new Hawaiian Childrens Bedding set collection. Ocean baby bedding is perfect for falling asleep with a sea full of wonderful dreams. We know children love to vacation and play on the beaches of Hawaii so Beyond Bedding is bringing you a whole new collection for your family. Our surf Hawaiian childrens bedding will give your child the imaginative starting point for countless journeys through magical oceans and rivers. Whether your son is looking for a cool surfboard to ride on or your daughter is looking for some beautiful tropical flowers, you will be able to find them all here. Hawaiian childrens bedding is a classic theme and an all time favorite. Nautical children bedding and fish toddler bedding are also available and inspired by the nautical childrens bedding theme. 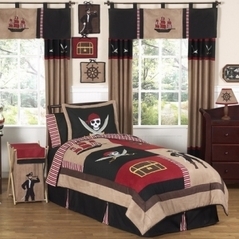 So please make sure to check them out at nautical childrens bedding and our kids sea and ocean childrens bedding themed sections.